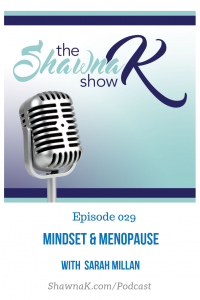 Did you ever figure that your mindset could actually reduce menopausal symptoms? 2. How does stress play into menopausal symptoms & what are the adverse effects? 3. Why is it difficult to be in a place of NOW and let go of anxiety or depression? 4. What actually keeps us from losing those 10 lbs or doing the thing we most desire? What does it mean to be in your thoughts? When we are in a state of overdrive or auto-piloting, is that being in our thoughts too? 5. 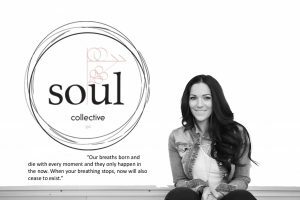 What is the program Soul Collective is creating? You call it “LOVE THE CHANGE THAT YOU ARE” Why that title and what’s the program all about? If you know me, you know I don’t adhere to titles. It took me a while to get around the idea of what to call myself. I help others profoundly shift themselves from within and honour their WHY. I have found how to be and create mindfulness and respect change as it comes in this life and now I help others to do the same in theirs. Life Coach, Growth expert, support lead where just a few titles I was told I am but none of them felt right. I am just me, here to honour the gifts I have brought with me into this world. If anything I am an Agent of Change, here to represent the power of Now. I am based in Calgary, Alberta, Canada, a Mother of 2, daughter, wife, sister and friend to many. I have a global client base from Calgary to Korean and growing. I am a big advocate for fitness which I discovered into my thirties when I began to choose to take myself back. I am creating, owning and architect-ing my life, choosing to be excited as life shifts, expands and changes along with me. This life is a gift and I intend to serve myself and others from that place of love we all carry within us. Soul Collective is creating a program “Love the change that you are” is designed to help you understand and create an action for the mindful states of self when stress, depression and anxiety visit us for the first time for some or as an old friend for others. Mindfulness has been shown to reduce all three of these stressors. By 2020 the USA alone will have over 46 million women over the age of 55. It’s time to take our lives back.